Financial Crimes are among the most complex offenses under Virginia’s criminal laws. Defendants charged with Financial Crime in Virginia are often unaware of the range of defenses that may be available to them. A conviction for Fraud, Forgery, Embezzlement, or another Financial Crime can create a permanent black mark on your record, endangering your future employment prospects in addition to the prospect of a jail sentence, fines, or restitution. If you are charged with a financial crime in Northern Virginia, call our offices today for a free consultation. Virginia law calls criminal Fraud charges Obtaining Money By False Pretenses. Any allegation that the defendant obtained an item of value through a false statement, a misrepresentation, or a failure to provide material information can be charged under the False Pretenses statute. An offense involving less that $200 will be charged as a misdemeanor (punishable by up to 12 months in jail), while an offense involving $200 or more will be charged as a felony (punishable by up to 10 years in jail). At Zinicola, Blanch & Overand, we have represented hundreds of people charged with Fraud offenses, and we can help you with your case. False Pretense charges can arise in many different contexts: The fraudulent use of another person’s credit card, passing a bad check, taking someone’s money in exchange for services that are never provided, or simply tricking someone into giving you money that you are not entitled to. Because so many different offenses can fit under this category, the police sometimes charge suspicious or unusual financial arrangements as Fraud simply because they do not fully understand them or because someone has filed a complaint about a financial loss. For this reason, is not at all uncommon for someone to be wrongfully changed with these offenses despite the fact that they have done nothing wrong. Even in cases where wrongdoing has occurred, compiling the evidence necessary to prove a False Pretenses case can be very difficult for the prosecution. In many cases, proof requires extensive financial documentation and many witnesses, some of whom may not be available. Risks like these sometimes lead prosecutors to offer pleas to reduced charges even where there is significant evidence of wrongdoing. An experienced attorney can advise you of the strength of the evidence against you and may be able to assist you in getting your charge reduced or dismissed. Virginia Law makes it a crime to sign the name of another with the intent to defraud or deceive someone, an offense referred to as Forgery. Forgery usually applies to checks or other financial documents, but can also apply to public documents such as Summonses or other police and court documents. Forgery is a serious offense that can result in a jail sentence and/or a felony conviction. 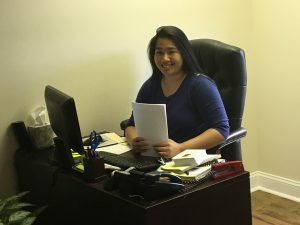 Depending on the circumstances of the case, there may be strong defenses that the client wants to pursue at trial, or there may be very weak defenses, making the best option a plea that avoids jail time or a felony conviction. Uttering is often closely linked to Forgery or other Fraud offenses. Uttering means that you have passed a forged or fake document to another person with the intent to make them believe that it is real. Uttering can be proved independently of Forgery (as in cases where one person forges a check and then asks someone else to cash it for them) or the offenses can be charged in tandem. Embezzlement is taking money or other valuable items that have been entrusted to you through your job and using them for your own purposes. As with other Financial Crimes, cases involving amounts above $200 are felonies, while cases below $200 are misdemeanors. Embezzlement is legally classified as a theft offense, but often looks and feels more like a fraud offense in practice. Similarly, proving an Embezzlement offense often requires documentation and witnesses more similar to fraud offenses than to theft offenses. 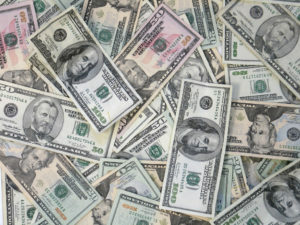 Embezzlement offenses are also unique in the amount of money involved – many embezzlement cases involve tens of thousands or hundreds of thousands of dollars. Because of these factors, Embezzlement charges require an attorney who understands the unique dynamics involved. It is particularly important to know how prosecutors and judges are likely to approach these charges. Being convicted of a Felony can have disastrous repercussions for your future, especially for young people with their lives in front of them. Convicted felons lose their legal rights to vote or own firearms, but more importantly, a Felony conviction can make it extremely difficult to find future employment. Felony convictions are permanent in Virginia, so they cannot be expunged and do not come off of your record with the passage of time. If you are charged with a first-offense Financial Crime, hiring the right attorney can literally be a life-changing event. At Zinicola, Blanch & Overand, we have helped hundreds of clients get their Felony Financial Crimes charges reduced to Misdemeanor offenses or get them dismissed altogether. 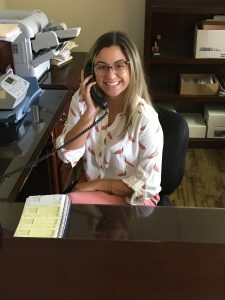 Call us today for an appointment to talk about your case.